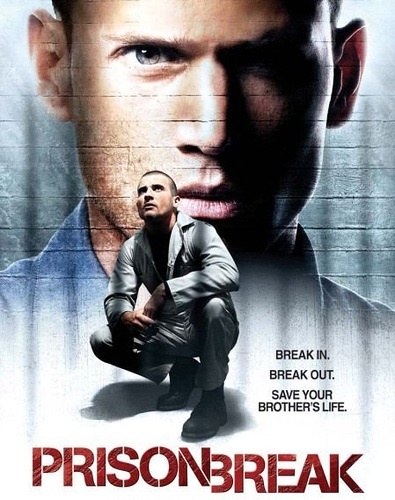 I’ve been glued to my TV for some days now after my husband and I started watching Prison Break on Netflix. As soon as Bubba goes to bed for the night, we flip on the Playstation 3 and get lost in the shenanigans that are this show. It is good…so good. The show centers around two brothers; one has been wrongly convicted of murder and is sentenced to execution, and the other brother devises a plan to help him escape from prison before that can happen. Throw in a cast of interesting inmates, suspense out the wazoo and an ever changing plot and you’ve got the show that is Prison Break. The best part about the show: you never know what’s going to happen next. Just when you think you’ve got it figured out, something else happens or someone else enters the story and you’re back at square one. The worst part about the show: the seasons are extremely long and each episode (since it’s without commercials) is about 45 minutes long. Most of the time this wouldn’t phase me, but because this show is that good, I just want to find out what chaos unfolds in the next episode before I even finish the one I’m watching. I urge you to watch this show but I’m warning you, you’ll get sucked in. If you’ve tried contacting me in the past few days and I’ve been slow to respond or I haven’t responded at all… now you know why! As I was putting the little man down for a nap today, I received two calls from unknown numbers. As I do with any unknown number, I answered the phone with a chip on my shoulder, but to my surprise, it was actually people I wanted to talk to! I had entered Bubba’s picture in a Beautiful Baby Contest a few weeks ago, and this phone call was to inform me that he had won second place! Yes, normally I would stick to my guns that if you’re not first, you’re last, but because I think my child is pretty damn cute and he placed in a beautiful baby contest, how could I be mad? We now return to our regular obsession with Prison Break.